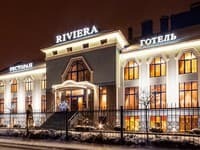 "Park Hotel" - a new hotel in the town of Ivano-Frankivsk. 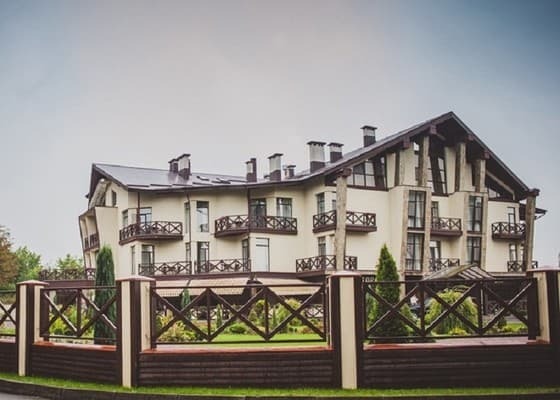 The combination of the atmosphere of the city in the Carpathian foothills and the European service will make your stay a truly memorable and enjoyable thing. European service of "Park Hotel" attracts tourists, businessmen and guests of our city. 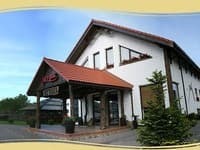 Hotel offers 36 uniquely furnished rooms, restaurant, bar, conference-service, sauna, billiards, lounges which make the Park Hotel an ideal place for both business and pleasure. 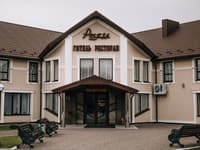 Reception and service of the hotel are opened 24 hours a day. 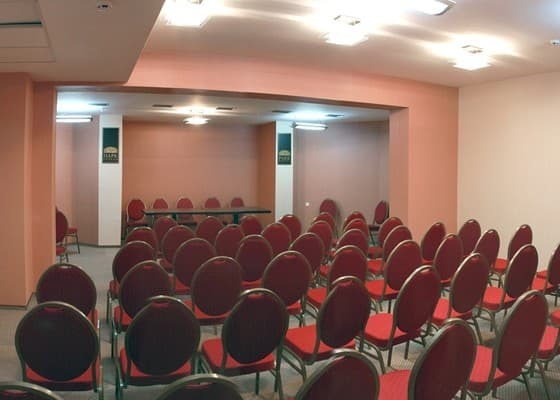 Description of the room: Room size: 18-24 square meters. In the room: 1 double bed (1600 * 2000), individual microclimate system, nightstand for luggage, table, chair, wardrobe, bathroom with bath, hygienic set. 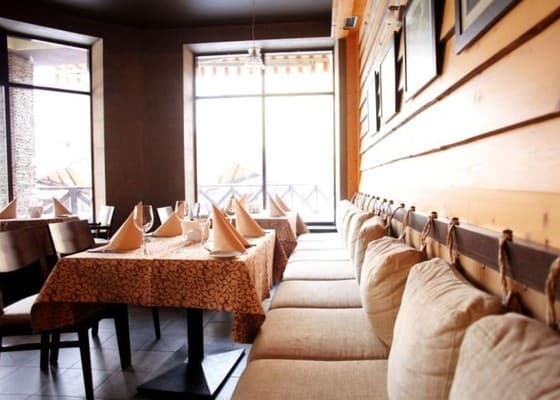 Description of the room: Room size: 20-36.2 square meters. 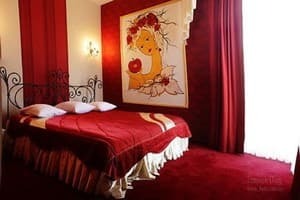 In the room: 2 single beds (1600 * 2000), individual microclimate system, a luggage stand, a wardrobe, a coffee table, 2 armchairs, a bathroom with a bath, a hygienic set. 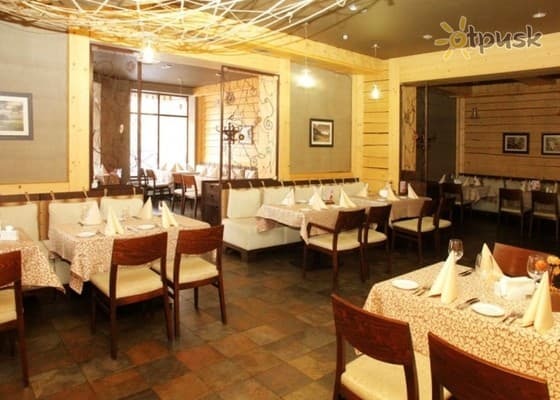 Description of the room: Room size: 26,3-28,7 sq.m. 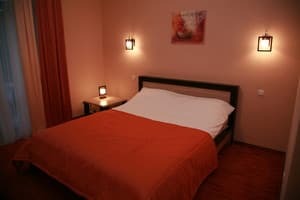 In the room: 1 double bed (1800 * 2000), individual microclimate system, nightstand for luggage, wardrobe, coffee table, soft set, sofa, bathroom with bath, hygienic set. Description of the room: Working and living area. Room size: 33,5-34,7 sq.m. In the room: 1 double bed (2000 * 2000), individual microclimate system, bedside table, wardrobe, coffee table, soft set, sofa, bathroom with shower, hydromassage bath, bidet, hygiene set. Description of the room: The room consists of 2 rooms, 2 bathrooms, kitchen area. Room size: 54,1 sq.m. In the room: 1 double bed (1800 * 2000), individual microclimate system, soft suite, sofa, nightstand for luggage, wardrobe, writing desk, built-in kitchen (stove, refrigerator, dishwasher), mini bar, bathroom with Shower cabin, bathroom with hydromassage bath, hygienic set, balcony. 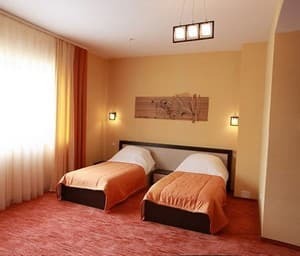 Description of the room: Three-room apartment with two bedrooms. 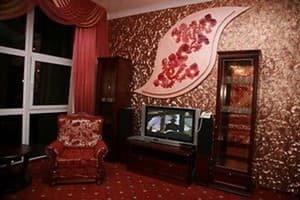 Room size: 91.5 square meters. In the room: 1 double bed (1800 * 2000), 2 single beds (900 * 2000mm), dressing room, individual microclimate system, soft suite, wardrobe, desk, luggage stand, built-in kitchen (stove, refrigerator, microwave oven ), Bathroom with shower, jacuzzi, hygienic set. A child under 5 - free of charge. Children from 5 to 15 - 150 uah with an extra place and breakfast. Airport - 3 km, Railway station - 3 km, The city centre - 2 km.